Years ago Flora fled the quiet Scottish island where she grew up - and she hasn't looked back. What would she have done on Mure? It's a place where everyone has known her all her life, where no one will let her forget the past. In bright, bustling London, she can be anonymous, ambitious...and hopelessly in love with her boss. But when fate brings Flora back to the island, she's suddenly swept once more into life with her brothers - all strapping, loud, and seemingly incapable of basic housework - and her father. Yet even amid the chaos of their reunion, Flora discovers a passion for cooking - and finds herself restoring a dusty little pink-fronted shop on the harbour: a café by the sea. This was possibly the best narration I have ever heard, and I have been listening to audio books for over 20 years. Good, strong story, gorgeous depictions of landscape, food, and family relations. Well done all around. I heartily recommend listening to this book, although I guess reading it would not be half bad, if you could hear these Scottish and New York accents in your head! Where does The Cafe by the Sea rank among all the audiobooks you’ve listened to so far? This book is right in the middle: not the worst, but far from the best. Would you recommend The Cafe by the Sea to your friends? Why or why not? I would, because the narrator Sarah Barron was mostly enchanting. Her apparently authentic Scottish accent wove a mood that carried me away. She read the women characters much better than the men, and her American accent wasn't quite right, but the Scottish characters made up for that. I loved all of the scenes of daily life and cuisine on the fictional Isle of Muir. Having just been to Scotland, the reader beautifully evoked the atmosphere of northern climes. I did not have an extreme reaction. Occasionally I winced at some of the romance novel scenes. Any story about a kinder, gentler world that I hope is out there somewhere is OK by me. I really enjoyed The Bookshop On the Corner so I thought I would give this story a try. If you are a fan of Jenny Colgan, you will not be disappointed! Narration was great too, but I am a sucker for the Scottish accent! I have to admit Ive listened to this book now 3 times. The story is pleasing but the narrator is the best. I enjoy listening to her scottish accent and wish she narrated more books that I would enjoy. Jenny Colgan does it AGAIN!! Cafe by the Sea is a wonderful story. It's full of loving someone from a far, loving someone you've known your whole life and discovering love for the first time. It took a little bit to get into the story but once I did it was very enjoyable. A taste of a different lifestyle living on a very northern isle in the UK, family changing traditions and romance. The narrator did a great job with the accents! Another fantastic book by Ms. Colgan. Hear sweeping and intense, I cried, laughed and baked my way through this book. Fantastic!!!! 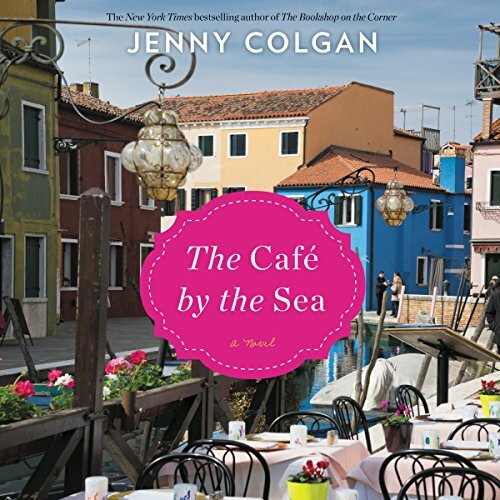 I listen to all the new Jenny Colgan releases on audible. I was disappointed in this one. The plot was rather predictable. Only interesting part of the listening experience was the exotic Scottish locale and local customs. The narrator used such a thick Scottish accent when the characters were in dialogue that it was very hard to understand. I missed many conversations and the meaning of words & phrases, since I couldn't even look them up. It was way too much work to try and decipher what she was saying. It was even worse when she was talking as a toddler. Completely unintelligible. If I were the author I would have been upset at this performance.